We’ve seen all three LPL teams play, and they look damn good. One of the most prominent storylines at the 2018 League of Legends World Championship is the battle between China and Korea. Korea has held firm to the throne for years, and the rest of the world has been waiting to see which other region will be the first to overthrow them. This year, that hope lies with China. 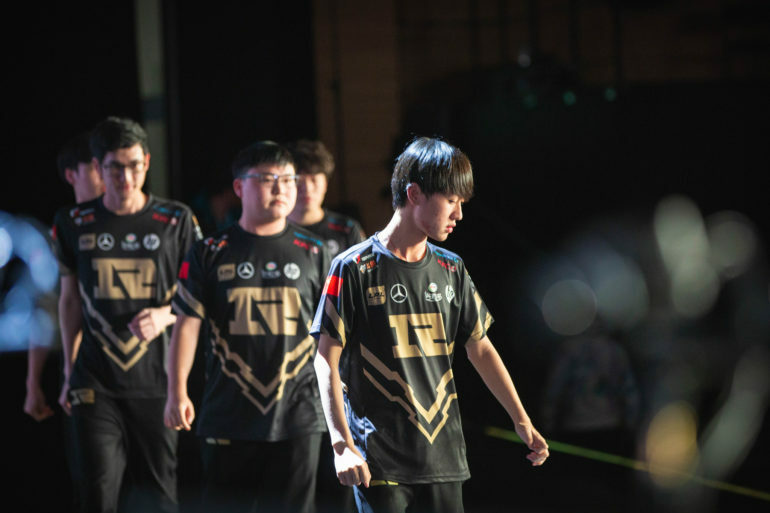 The LPL’s RNG defeated Korea at the Mid-Season Invitational, and all three Chinese teams in attendance have put on very intimidating displays of power so far throughout the first two days of the Worlds main event. After all three LPL teams, being EDG, RNG, and Invictus, have played and won all of their games so far, it’s time for Korea to get a little nervous. It’s only the second day of the stage, but every game counts. It only takes three wins, in theory, to make it out of groups, and now every single LPL team at Worlds has already knocked one away. And how is Korea doing so far? Well, not great. Yesterday, the LCK’s second seed Afreeca Freecs were defeated by a surging G2 Esports, one of the worst predicted teams at the tournament, and then the LCK’s third seed lost to Team Vitality of the EU LCS, too. And then for the first game of the day today, Afreeca lost again to the LMS’ Flash Wolves, putting the LCK at a combined 1-3 so far in the group stage. Compared to the LPL’s undefeated record, that’s rough. Of course, it really only matters if the best LCK team can beat the best LPL team or not, and the rest of the teams don’t really matter. And we won’t know who the best teams from each region are until the finals, assuming one team from each region makes it that far. If they don’t, there will be a much more exciting story to talk about than just China vs. Korea, that’s for sure.